If you don't intend to use our default Contact Page template, we recommend that you install the Contact Form 7 plugin , that offers you an easy way to create different kinds of contact forms. 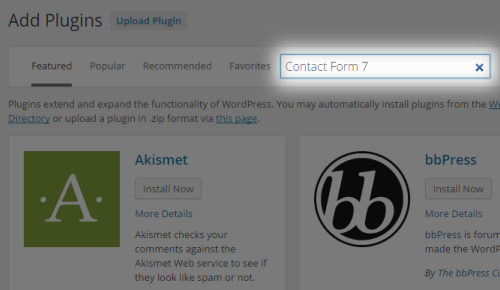 To install this plugin, just go to Plugins -> Add New, and search for Contact Form 7. Install and activate it. Before inserting a Contact Form 7 element via Visual Composer on your page, inside your WP Admin Panel go to Contact, in order to create your form first. Click on the Add new button at the top, and once you have chosen the language you will be ready to build your custom contact form. 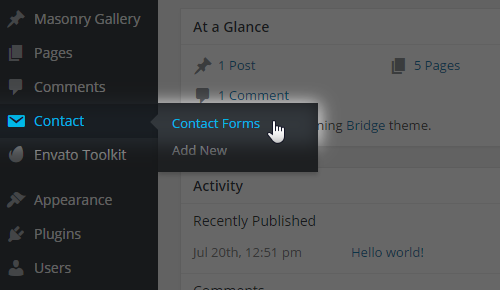 Once you have created your contact form, you are free to showcase it on any page, using Visual Composer. Choose the Contact Form 7 element, and you will get the option to choose which of your previously created forms you want to display. You can also choose to apply one of three predefined stylings for your form, that you are able to set in Qode Options -> Contact Form 7. 01Before importing new demo content, you should always navigate to Appearance > Menus and delete all imported menus (all menus that you did not create from scratch yourself). If you do not do this your menus will duplicate on import, which can lead to further issues. 02If you are planning to import another demo, it is good practice to first clear your existing demo using the WordPress Database Reset plugin (please note that this plugin will clear all WP content, basically reverting your site to the point when you just installed a fresh copy of wordpress).If you are using multisite, please use this plugin carefully because it can reset all network installations. 03All options that were imported with the demo you currently have active on your site will be overwritten with the options for the demo you intend to import. After import, go to Qode options and hit Save Changes. In this way you will make sure that all options are properly loaded. All - import pages, content, widgets, and settings. We recommend this for users who want to import pages exactly as they appear in the demo. Content - import pages and their content only. Recommended for users who want to see how we've created our page layouts, but who want to keep their own settings in Qode Options. Widgets - imports widgets only. Recommended for users who'd like to use the widget areas that we created and want to import that only. Options - imports settings in Qode Options only. Recommended for users who would like to achieve the same look and feel of our demo site, but who do not require our page layouts. Note:If you want to import media files (images, video and audio files), check the 'Import attachments' box. 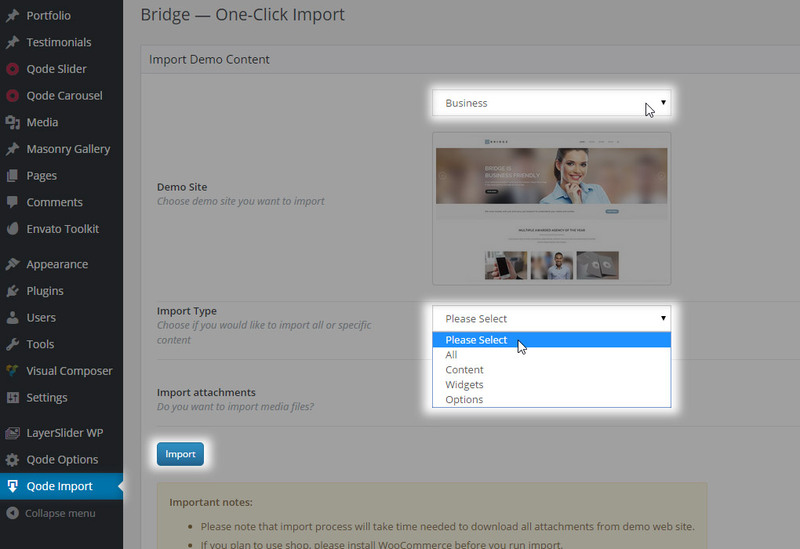 You can also import a Bridge demo using the classic WordPress import and the Bridge XML files. To do so, first download the latest Bridge zip file from your ThemeForest downloads page and extract it. After this you should navigate to the demos folder, where you will locate the index file. Upon opening the index file, you will be able to view each demo by launching it as well as to download your desired demo’s XML file from the list. Note that the XML files for each demo will be located inside zip files whose content you should extract after downloading them. 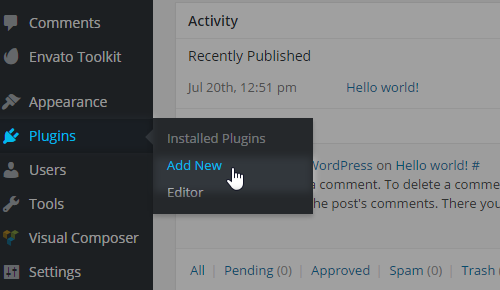 Then, navigate to WP Admin -> Tools -> Import, and select WordPress from the list. 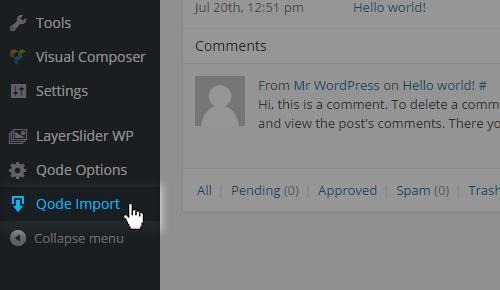 If needed, install the WordPress importer. 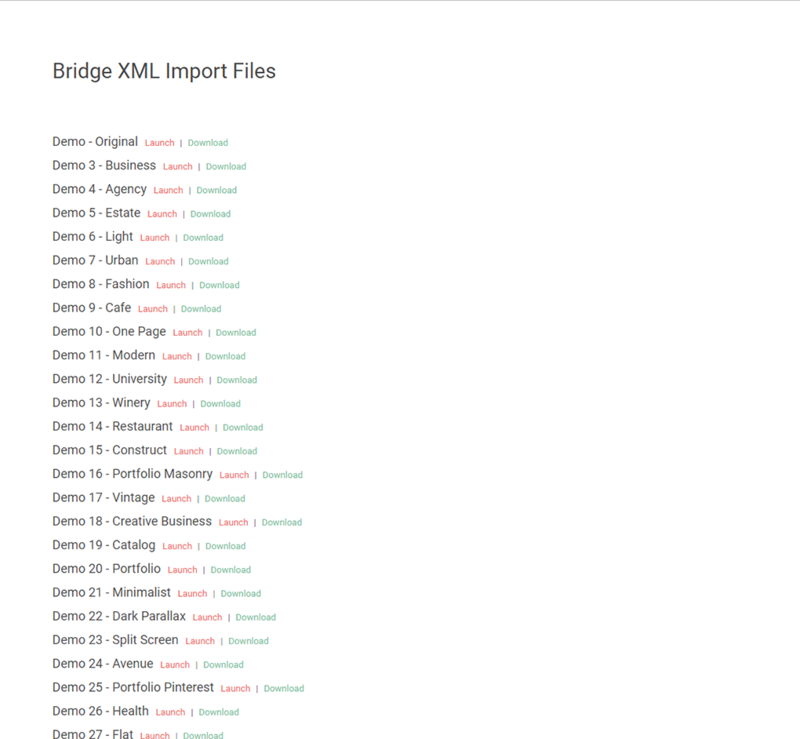 Click on Choose File, and navigate to the folder to which you have extracted the demo zip file that you previously downloaded from the Bridge XML Import Files list. After you have chosen your desired XML file, just click the Upload file and import button, and wait for your import to finish. Please note that you can only have one demo imported at a time - otherwise the content gets overridden and duplicated causing improper theme behavior. So, before importing a new demo we recommend running this plugin to revert WP to its original state and then re-activate our theme and import the demo. You can easily combine various features from different demos. The suggested way of doing this is creating a WordPress local development environment with as many demo sites as you need to import the demos you’re looking to combine. Now you can safely take a look at the back-end of each demo that you’re going to use a feature from and either copy the necessary content or replicate a setting to your live site. Besides the standard theme demo content, certain Bridge demos also contain separate demo content related to the plugins the theme uses. In this section we will explain how to import this demo content. When importing a demo onto your site, the LayerSlider slideshow has to be imported separately. 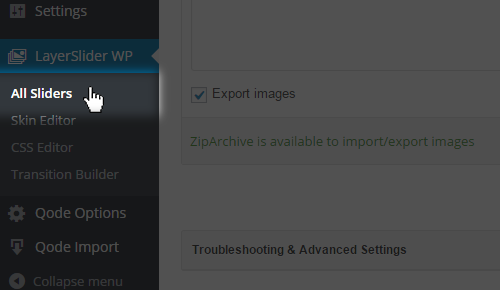 To import a LayerSlider slideshow from one of our demos, please go to your WP Admin -> Layer Slider -> Import. Search for LayerSlider_Export_BridgeN.zip* located in the file you downloaded from Theme Forest / XML export/layerslider folder and import the slideshows from that demo. Finally, go to the page on your site where the slider is supposed to display and set the valid slider shortcode ID and save. If you have experienced issues while importing one of the demos, we suggest that you refer to the following section of the owner’s manual in order to troubleshoot and solve any issues you might have come across. Problem: If you’ve tried to import a demo content and the import process gets stuck at a certain percentage value this issue is most probably related to your server configuration. Note: This will delete all content from your site. 03 Disable all plugins you might have installed under WP Admin -> Plugins except WooCoomerce (If you plan to import shop demo files. If not, disable this plugin as well ). 04Make sure that you have not changed the location of the default Media folder. The default media folder is changed by editing the wp-config.php file, so if you have not made modifications to this file, your media folder should be set to the default one. 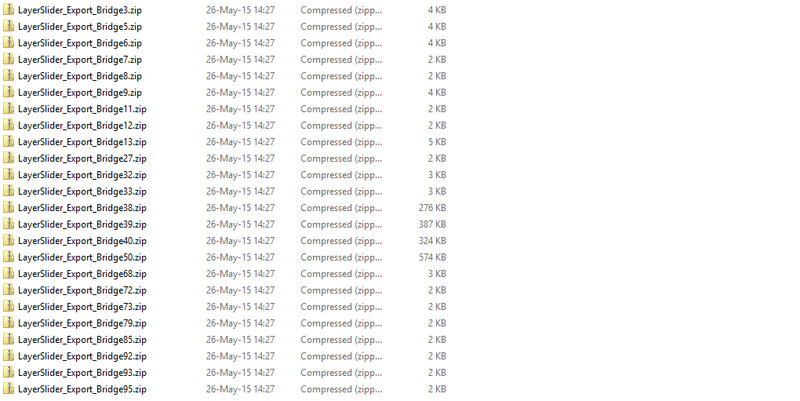 05 Increase post_max _size to 128M and max_execution_time to 300 in your php.ini file. You can find more information on how to do this in the related links below. 06 Increase PHP memory limit. You can find more information on how to do this in the related links below. You can perform these server configuration modifications yourself or contact your hosting service provider to adjust this on your behalf. 07 Try to import the demo content again. Solution: The PHP version you're using does not support the third parameter of the strstr function, hence the error message. Usage of the function requires PHP 5.3.0 or higher. You should contact your hosting service and ask them to upgrade to at least version 5.3 of PHP because many updates have been made made since PHP 5.2 version was released. Solution: You have not uploaded your original logos instead of the Bridge placeholder logos in WP Admin -> Qode Options -> Logo. Please navigate to this location in your WordPress admin panel and upload all logo images. If the issue persists upon updating theme logo images, please submit a ticket to our support team at https://qode.ticksy.com for further assistance.